This season the colours that we have avoided as a collective have all come back at exactly the same time, from lilac to yellow. Even acid shades are on the brink of making a return. We all have one colour that we think would under no circumstances ever suit us, and so to see if we can all embrace this season's divisive rainbow, I challenged my team to wear the one colour that they think they would never ever wear. The five most hated hues in the Who What Wear UK team are yellow, blue, lilac, red and brown, and so in the spirit of spring and trying to wear more colour, we tried to see if we could all change our minds. Emma's verdict: "I have a very fair complexion, which makes me a little terrified of yellow. I always assume it will automatically wash me out and make me look sickly. 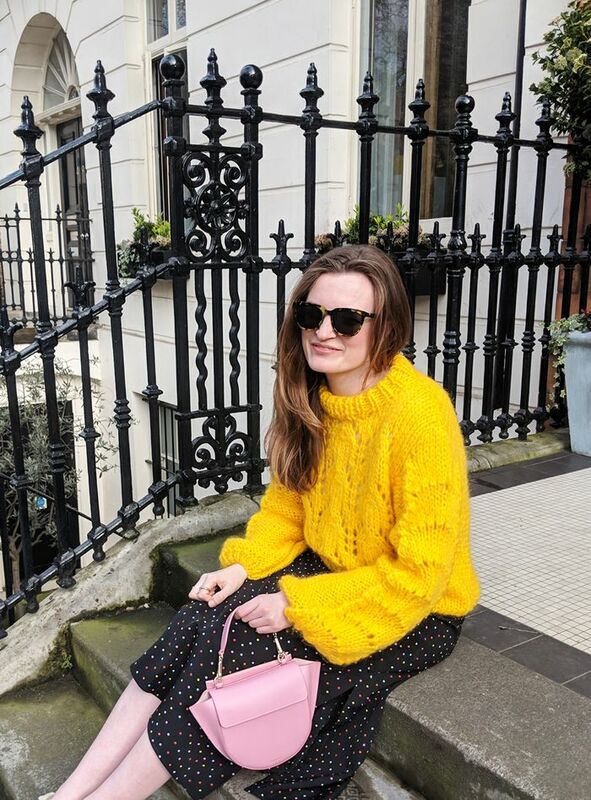 Instead of a muted lemon, I decided that a bold primary shade was the way to go, and a punchy knit isn't as intimidating as the yellow suits or dresses taking over this season. Yellow and pink are an unlikely, but winning, colour combination, so I added a pink mini Wandler bag. And I think this has changed my mind on yellow, and I might be buying after trying." Isabel's verdict: "Wearing red automatically feels like a very bold choice, which is what terrified me. Colour for me usually means beige. But I found by pairing red with my white jeans and favourite bag, I got the support I need to confidently wear the colour." Nell's verdict: "I don't hate any colours but there's something about brown that always makes me feel a bit meh. The closest I ever get to it is leopard print, which everyone knows is a neutral. If I'm going to go for a more subdued colour, I'll opt for navy or a black. However, wearing brown has really surprised me. I thought I'd pair a long leopard-print Zara dress with a Warehouse suede jacket and a Staud bag. What have I been so scared of?" Hannah's verdict: "Lilac will be my go-to option for wedding season. So many people still associate it with and are scared of it in regards to bridesmaids dresses, but I’d rather wear these cute colours in a dressed-up way than casually, as my daily wardrobe revolves around black navy and red. Gold accessories are always a safe investment for event season and tend to work with every colour outfit you might wear—so I’ll opt for the comfort and safety styling them with this lavender dress." Barbara's verdict: "Being blonde and fairly pale, the thought of wearing pastel shades of any kind is quite terrifying, but I found this Zara suit surprisingly easy to wear. 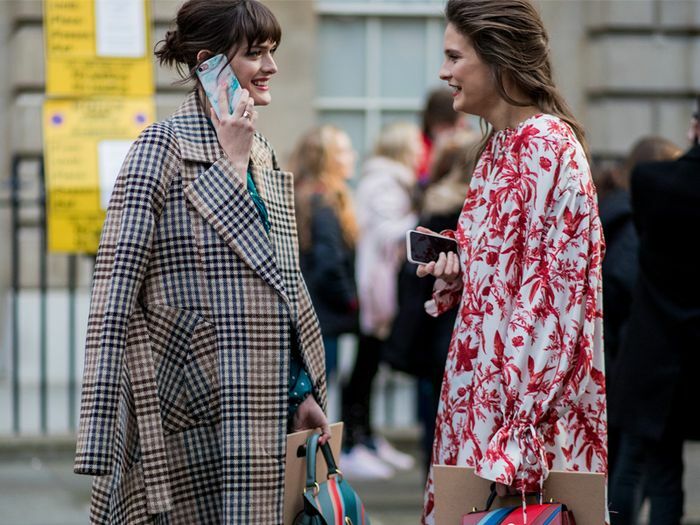 The white buttons and neutral accessories make the top-to-toe look feel softer, but you could add a yellow bag or a pair of resin earrings to dress it up a bit." Anyone else ready to take on their most-feared colour?